"On Time And Very Quick To Fix." "Efficient, Friendly, Job Well Done"
"He Gave Us Good Advice And Improved The Service Very Quickly"
"Fast, Efficient And Friendly! Thank You!" "Paul Was Simply Fantastic And Efficient. 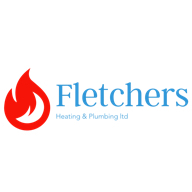 No Mucking Around, Just Got On With The Job"
Need a Plumber or Heating Engineer in West Drayton?